Former MTA boss needs some professional erasers (oops - I mean Public Relations people), and quick. New Yorkers are not gonna vote for animal killers. His campaign is done, over. All New Yorkers I am sure remember how Judy Nathan Giuliani used to work for a surgical stapler company and the dogs died? (See Daily Kos, click here) Rudy wasnt elected. Give the keys to the City to the person who ordered the trains to stop!!!! Here's to your long and happy lives, Arthur and August!! The former MTA chairman didn't find it 'appropriate' to shut down train lines for the kitties, but Anthony Weiner said he has a 'detailed saving-kittens-off-the-track policy.' Other mayoral hopefuls such as Christine Quinn and Bill Thompson also said they would have rescued the felines. Lost kittens Arthur and August caused subway service on the B and Q lines to shut down for around two hours. 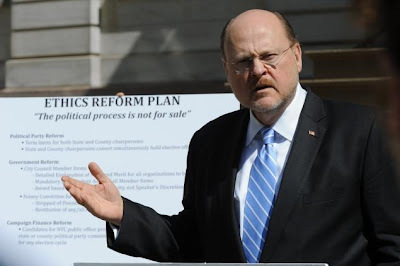 If it was up to mayoral hopeful Joe Lhota, a racing subway train could have killed the cats. Mayoral hopeful Joe Lhota would have let curiosity — or a racing subway — kill the kittens. As frisky felines Arthur and August recuperated Friday from peril on an open-air stretch of the B and Q lines near Church Ave. in Brooklyn, the former MTA chairman on Friday said he would’ve saved straphangers from agitation before he saved the kittens from danger. “It’s not up to the mayor, it’s a decision of the MTA, but Joe does not think it’s appropriate to shut down an entire train line for an extended period for this purpose,” said his spokeswoman, Jessica Proud. Lhota's spokeswoman said the former MTA chairman did not find it 'appropriate to shut down an entire train line for an extended period' to save the kitties. 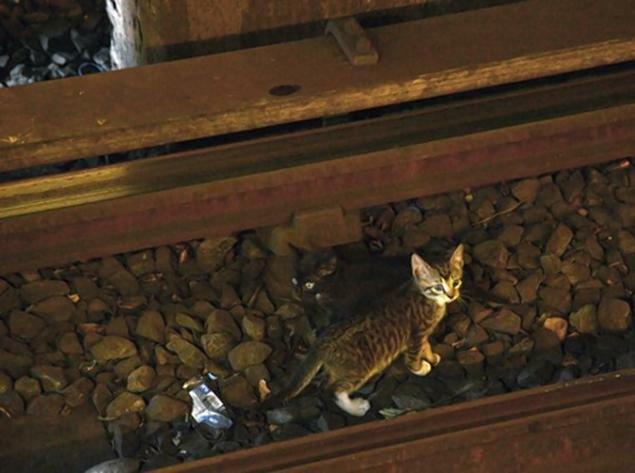 Train service was suspended Thursday — twice — to rescue the kitties from their catastrophic choice of city housing near the electrified third rail. John Catsimatidis was another furball friend — to a point. “I love animals,” he said. (Note he even includes “cats” in his name.) “I still miss my cat, Cottonball, who died a couple of years ago. But, I really think something like that is up to the MTA or police that are on the scene, not the mayor,” he added. City Council Speaker Christine Quinn simply said through a spokesman that she would have stopped the trains. Bill Thompson echoed that when asked by a reporter. And longshot candidate George McDonald said through a spokesman that he would have to consult with Gus the polar bear first. Alas, the beloved longtime Central Park Zoo denizen died at age 27 after being euthanized Tuesday. Meanwhile, the celebrity kittens were being treated at Brooklyn Care Center, said Richard Gentles, spokesman for Animal Care and Control of NYC. He added that the joyriding felines are being transferred to another shelter, where they will receive additional care and get to socialize with other homeless pets. They will be available for adoption in a couple of weeks, after they get enough medical treatment and tender loving care, said Gentles. The shelter urges interested adopters to visit city Care Centers with many kittens and older cats who need loving homes at http://nycacc.org/adopt.htm. Donations to help feline friends like August and Arthur can be made online at http://nycacc.org/donate.htm.